Increase the quality of your sleep and fall asleep easier. This program is based on our bestselling guided meditations for fertility, and you can customize the program to your cycle as needed. Your one-time purchase includes lifetime access to this program and is also available risk-free with a 100% money-back guarantee. 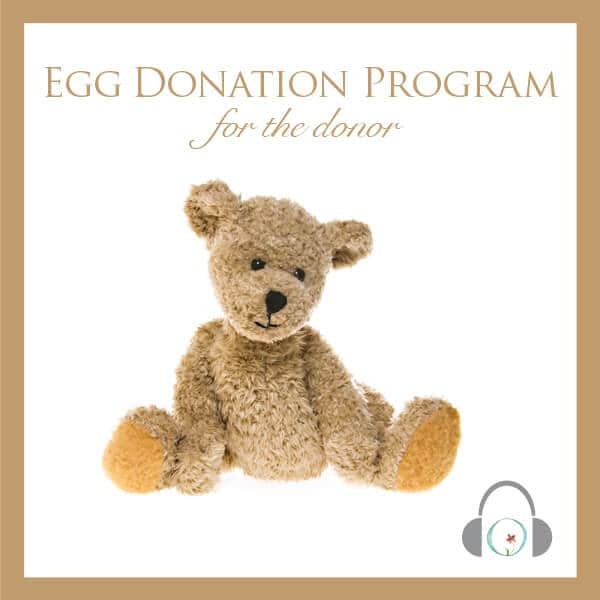 Save over 40% when you purchase this program with the Egg Donation for the Hopeful Parent Program, which can give both of you the best chance for success. This program includes 19 unique audio meditations containing a total of 4.8 hours. You will receive instant online access once you create your account and will be able to download the sessions as well to listen to them however you prefer to.